Many jewelry dealers start up businesses and have no experience. Starting a business can be easy, knowing how to maintain it and keep it successful is the challenging part. Many jewelry dealers out there aren’t familiar with the business and simply go into it to make some extra money. Finding a jewelry dealer you can trust is very important. You want to make sure you are getting the best offer for your item(s). 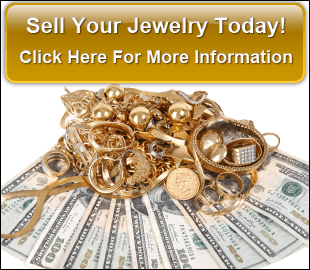 Can you trust an inexperienced jewelry dealer to answer your questions accurately? Oftentimes, the customer is unaware of how the business works. Going to an inexperienced jewelry dealer can create further confusion if you don’t get the answers you’re looking for. Seek out a qualified and licensed jewelry dealer to make sure you are comfortable about selling or buying your items. Are the staff experienced, or just the owner? When you’re not familiar with the business, it’s easy to fall victim to scams. Make sure you are dealing with knowledgeable owners who understand the business. Don’t rely on the staff to provide you with all the right information you need to know, look for a qualified dealer who can help with your valuables. We have over 27 years of experience in the industry. Having multiple years of experience, Paul Albarian has helped hundreds of customers sell or buy valuables. Go with a jewelry dealer you can trust and who you know has a lot of experience in this field – you’ll be glad you did! You’ll be helped by the owner himself, not an inexperienced staff member. With a friendly and welcoming attitude, Paul Albarian can personally help you with your gold items. His experience and knowledge is rare in this business and you can rest assured that you’ll get a fair and honest price for your valuables.